To commemorate the World Press Freedom Day on 3 May, BMF held a panel discussion at Sherubtse College on the three themes, namely exploring media’s importance in development, safety of journalists and rule of law, and sustainability and integrity of journalism in Bhutan. For the panel discussion, the Foundation invited eminent speakers with media background – Dasho Kinley Dorji, Secretary, MoIC; Kesang Dema, former Kuensel reporter; Needrup Zangpo, editor, Bhutan Observer; and Ugyen Penjor, editor, Kuensel. 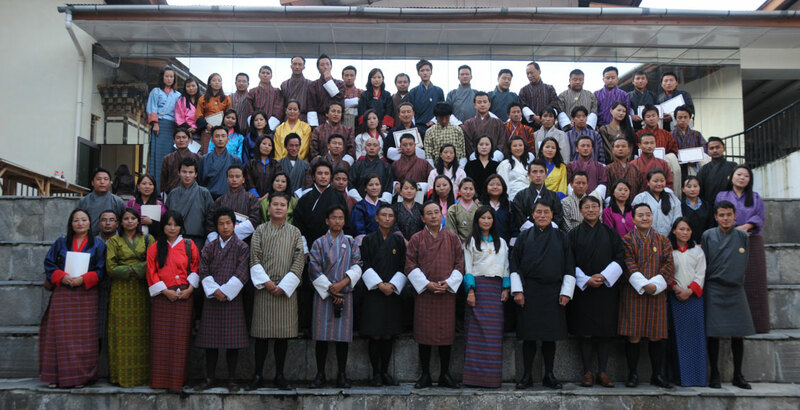 It was moderated by Bhutan Broadcasting Service anchor Dawa and BBS Trashigang bureau chief Pema Namgyel. The forum prompted discussion on the urban-centric coverage, the media’s role in development, sustainability of media houses, government policies, freedom of media houses, integrity of reporters and news organisations, role of media in ensuring good governance, impact of media, and revealed the importance of maintaining freedom of press and expression.